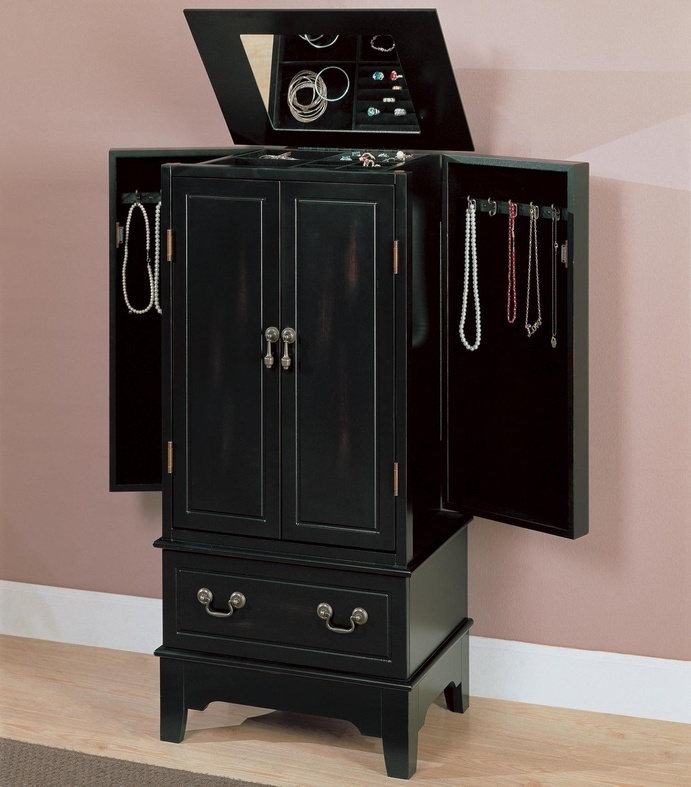 Address your jewelry storage needs with the addition of this stylish black jewelery armoire. Center doors and two side doors create a classic armoire shape that is rarely seen in such a compact size. Interior hooks on the side doors prevent necklaces and chains from tangling and fold in to form a sleek, uniform front. A framed lid with mirrored insert lifts up to reveal even more storage, including compartments perfectly proportioned for rings, earrings and similarly small items. 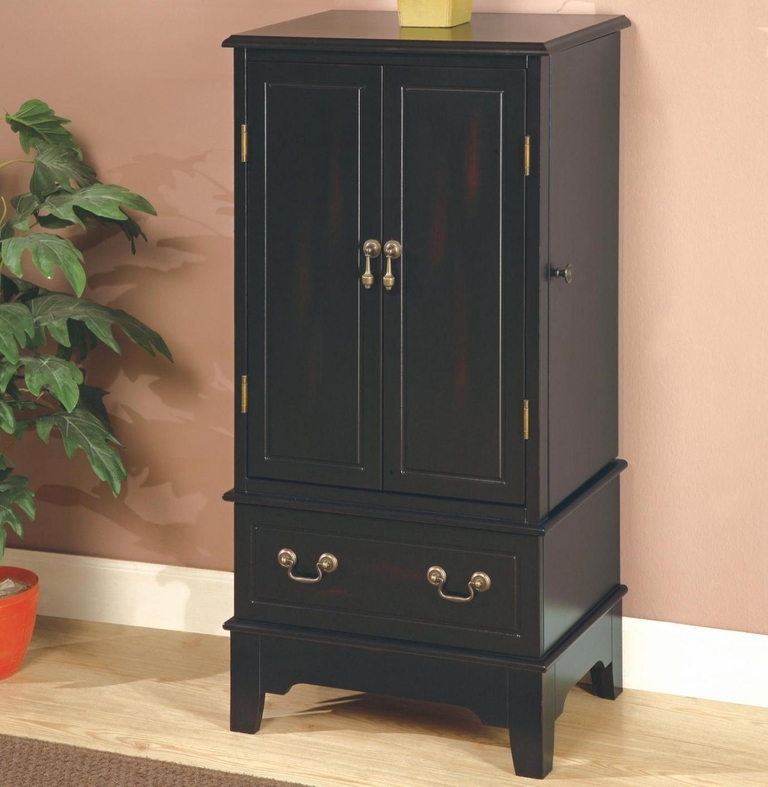 A black finish bathes the entire piece and features a lightly distressed look that adds depth to the center drawers.